While most Latter-day Saints know certain things about Oliver Cowdery, few may fully realize just how important he was to the coming forth of the Book of Mormon. In September 1828, Oliver Cowdery arrived in the Palmyra, New York area to teach school, where he stayed with the Joseph Smith Sr. family. 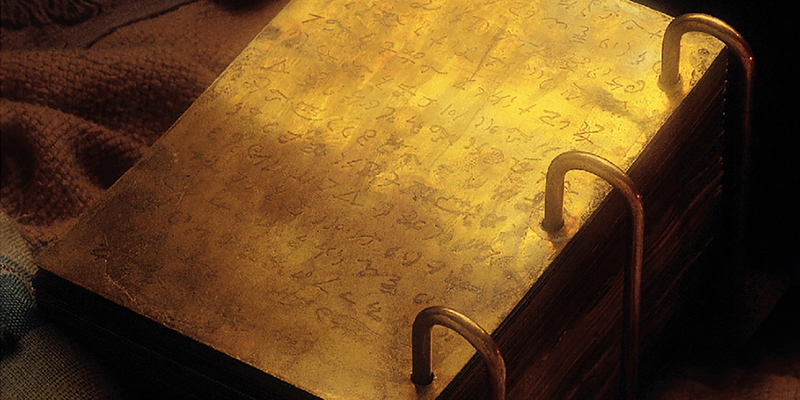 While there, he heard rumors about the “gold Bible” and Joseph Smith’s visions. Before he ever met Joseph Smith, Oliver became convinced the story was true and received revelation that he needed to assist Joseph (Doctrine and Covenants 6:14–24). Once school ended that spring, Oliver departed with the Prophet’s younger brother Samuel for Harmony, Pennsylvania, where Joseph and Emma were living. Traveling in early April, they endured cold, wet, and muddy conditions as they made most of the 130-mile trip on foot. On April 7, 1829, two days after Oliver met Joseph Smith for the first time, the translation was in full swing with Oliver as scribe. With Oliver’s help, “the pace of translation was faster than it had ever been before.” Between April 7 and the end of June, 1829, Oliver served as the primary scribe while Joseph translated at an astonishing pace. Available manuscript evidence confirms that Oliver served as scribe for most of the translation process. His handwriting is clear, accurate, and professional, as one would expect from a school teacher. 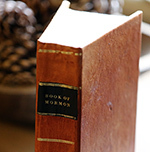 The printing of the Book of Mormon began in late August 1829, at E.B. Grandin’s bookstore in Palmyra. To prevent the original manuscript from getting lost, a complete copy was made to take to the printer, and Oliver once again acted as scribe for this printer’s manuscript. Subsequently, Oliver, along with the Prophet’s brother Hyrum, oversaw the process of getting the Book of Mormon printed. These efforts culminated with the publication of the Book of Mormon on March 26, 1830. The Church was organized about two weeks later, on April 6, 1830. After playing such an instrumental role in getting the Book of Mormon published, Oliver was then called on a “mission to the Lamanites” in Missouri. Parley P. Pratt, Peter Whitmer Jr., and Ziba Peterson were subsequently called to join him, and in October 1830 they headed west, sharing the Book of Mormon with Native Americans along their path. Oliver continued to be an asset beyond the translation as he transcribed the printer’s manuscript and oversaw the printing process. Having this back-up copy of the entire Book of Mormon has proved to be more than just of incidental importance. Although only about 25–30 percent of the Original Manuscript has survived, all but three lines of the Printer’s Manuscript is intact and readily available as a phenomenal resource in studying and confirming the words originally dictated by the Prophet. Oliver was also called and trusted by God to be one of the Three Witnesses who saw the angel Moroni and the gold plates. His role as witness was important enough to have been prophesied centuries before by Nephi and Moroni (2 Nephi 27:12; Ether 5:4). Oliver’s testimony of the Book of Mormon was of vital importance his entire life. Even while out of the Church, Oliver was insistent that his validity as a witness to the Book of Mormon and other restoration events in no way be discredited. In many minds, his time away from the Church strengthens the credibility of his testimony. Once the book was printed, he was among the first to take the Book of Mormon to the world. He also served as Assistant President of the Church (1834–1837), and he, together with Martin Harris and David Whitmer, was ordained the first members of the Quorum of the Twelve Apostles in 1835. Oliver’s personal sacrifices as a scribe, witness, missionary, and in his many other roles as one of the founding leaders of the Church deserve the utmost gratitude from all who embrace the Book of Mormon. Michael Hubbard MacKay and Gerrit J. Dirkmaat, From Darkness unto Light: Joseph Smith’s Translation and Publication of the Book of Mormon (Salt Lake City and Provo, UT: Deseret Book and Religious Studies Center, Brigham Young University, 2015), 119–139. Richard Lloyd Anderson, “Cowdery, Oliver,” in Doctrine and Covenants Reference Companion, ed. Dennis L. Largey and Larry E. Dahl (Salt Lake City, UT: Deseret Book, 2012), 126–128. Larry E. Morris, “The Conversion of Oliver Cowdery,” Journal of Book of Mormon Studies 16, no. 1 (2007): 4–17, 81–83. John W. Welch and Larry E. Morris, eds., Oliver Cowdery: Scribe, Elder, Witness (Provo, UT: BYU Studies and Neal A. Maxwell Institute for Religious Scholarship, 2006). See Richard Lloyd Anderson, “Cowdery, Oliver,” in Encyclopedia of Mormonism, 4 vols., ed. Daniel H. Ludlow (New York, NY: Macmillan, 1993), 1:335; Richard Lloyd Anderson, “Cowdery, Oliver,” in Encyclopedia of Latter-day Saint History, ed. Arnold K. Garr, Donald Q. Cannon, and Richard O. Cowen (Salt Lake City, UT: Deseret Book, 2000), 260; Richard Lloyd Anderson, “Cowdery, Oliver,” in Doctrine and Covenants Reference Companion, ed. Dennis L. Largey and Larry E. Dahl (Salt Lake City, UT: Deseret Book, 2012), 126; Jeffrey G. Cannon, “Oliver Cowdery’s Gift,” in Revelations in Context, December 15, 2012, online at history.lds.org. See also, Larry E. Morris, “The Conversion of Oliver Cowdery,” Journal of Book of Mormon Studies 16, no. 1 (2007): 8–11; Michael Hubbard MacKay and Gerrit J. Dirkmaat, From Darkness unto Light: Joseph Smith’s Translation and Publication of the Book of Mormon (Salt Lake City and Provo, UT: Deseret Book and Religious Studies Center, Brigham Young University, 2015), 112–114. Morris, “Conversion of Oliver Cowdery,” 14–15. See also, Anderson, “Cowdery, Oliver” (2012), 126. For the most complete chronological information, see John W. Welch, “The Coming Forth of the Book of Mormon,” in Oliver Cowdery: Scribe, Elder, Witness, ed. John W. Welch and Larry E. Morris (Provo, UT: BYU Studies and Neal A. Maxwell Institute, 2006), 44–45; excerpted from John W. Welch, “The Miraculous Translation of the Book of Mormon,” in Opening the Heavens: Accounts of Divine Manifestations, 1820–1844 (Provo, UT: BYU Press, 2005), 90–91. MacKay and Dirkmaat, From Darkness unto Light, 120. See Welch, “The Coming Forth of the Book of Mormon,” 44–49; Welch, “The Miraculous Translation,” 90–98. See also Book of Mormon Central, “What was So Marvelous about the Translation of the Book of Mormon? (2 Nephi 25:17),” KnoWhy 268 (February 10, 2017). See Book of Mormon Central, “Why Were Three Key Witnesses Chosen to Testify of the Book of Mormon? (Ether 5:4),” KnoWhy 263 (January 27, 2017). Gale Yancey Anderson, “Eleven Witnesses Behold the Plates,” Journal of Mormon History 38, no. 2 (Spring 2012): 146–152 reasoned that it was Sunday, June 28, 1829. Oliver H.P. Cowdery to Cornelius C. Blatchly, November 9, 1829, printed in Cornelius C. Blatchly, “The New Bible,” Gospel Luminary 2, no. 49 (December 10, 1829): 194. See Richard Lloyd Anderson, Investigating the Book of Mormon Witnesses (Salt Lake City, UT: Deseret Book, 1981), 37–65 for a review of Oliver Cowdery’s witness of the Book of Mormon. For a response to critics who try to diminish Oliver’s testimony, see Larry E. Morris, “‘The Private Character of the Man Who Bore that Testimony’: Oliver Cowdery and His Critics,” FARMS Review 15, no. 1 (2003): 311–351, reprinted in Oliver Cowdery: Scribe, Elder, Witness, 281–319. See also Richard Lloyd Anderson, “The Credibility of the Book of Mormon Translators,” in Book of Mormon Authorship: New Light on Ancient Origins, ed. Noel B. Reynolds (Provo, UT: Religious Studies Center, Brigham Young University, 1982; reprinted by FARMS, 1996), 213–237. Reuben Miller Journal, as cited by Richard Lloyd Anderson, “Reuben Miller, Recorder of Oliver Cowdery’s Reaffirmations,” in Oliver Cowdery, 402. See also Scott H. Faulring, “The Return of Oliver Cowdery,” in Oliver Cowdery, 321–362. See Gerrit J. Dirkmaat and Michael Hubbard MacKay, “Joseph Smith’s Negotiations to Publish the Book of Mormon,” in The Coming Forth of the Book of Mormon: A Marvelous Work and a Wonder, Dennis L. Largey, Andrew H. Hedges, John Hilton III, and Kerry Hull (Salt Lake City and Provo, UT: Deseret Book and Religious Studies Center, Brigham Young University, 2015), 155–171. Royal Skousen, “Translating and Printing the Book of Mormon,” in Oliver Cowdery, 107–109. Anderson, “Cowdery, Oliver,” (1993), 337; MacKay and Dirkmaat, From Darkness unto Light, 199. See Richard Dilworth Rust, “A Mission to the Lamanites,” in Revelations in Context, February 22, 2013, online at history.lds.org. H. Dean Garrett, “Lamanite Mission of 1830–1831,” in Encyclopedia of Latter-day Saint History, 636–637; Dean L. Larsen, “Lamanites,” in Doctrine and Covenants Reference Companion, 354–355. Because of his close involvement, critics have postulated that Oliver was the go-between for Joseph Smith to get both the Spaulding Manuscript and access to Ethan Smith’s View of the Hebrews. For responses to these ideas, see Matthew Roper, “Oliver Cowdery and the Mythical ‘Manuscript Found’,” in Oliver Cowdery, 123–131; Larry E. Morris, “Oliver Cowdery’s Vermont Years and the Origins of Mormonism,” in Oliver Cowdery, 25–30. Morris, “The Private Character,” 312. Oliver Cowdery, “Letter I,” in Latter-day Saints Messenger and Advocate 1, no. 1 (October 1834): 14. Skousen, “Book of Mormon, manuscripts of,” 125. Skousen, “Book of Mormon, manuscripts of,” 128. See Morris, “The Private Character,” 312–314. There is something wrong with your sentence regarding Oliver, Martin and David and the Twelve Apostles. Were they the first Twelve Apostles or did they choose the first Twelve Apostles?